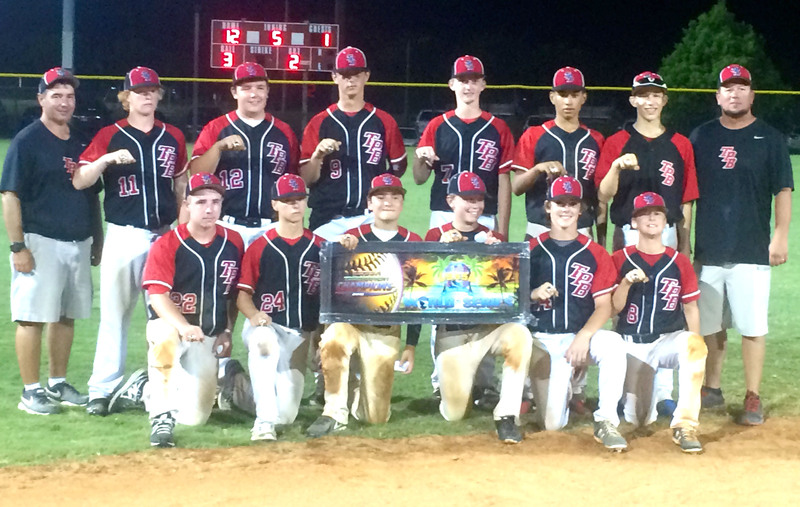 TPB, a team made up of players from the surrounding area, recently won the USSSA 13 Majors Global World Series championship in Gulf Shores, Ala.
TPB went 8-0 in the tournament, which featured 45 teams from across the country. They outscored their opponents 91-17. TPB finished the season ranked No. 1 in Louisiana and No. 3 in the country based on USSSA points. Also, each player on the team has the opportunity to participate in the Louisiana All-State games in August in Youngsville. Garmany, Riley Beck and Luke Hamiter. Coaches are Joe Tynes and Dirk Garmany. Garmany, Riley Beck, Luke Hamiter.